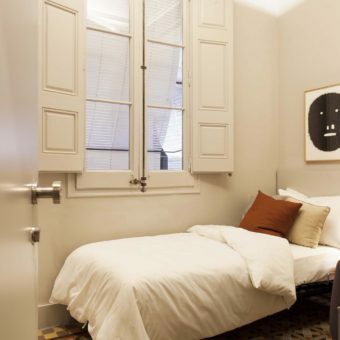 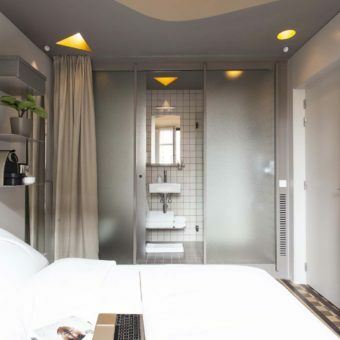 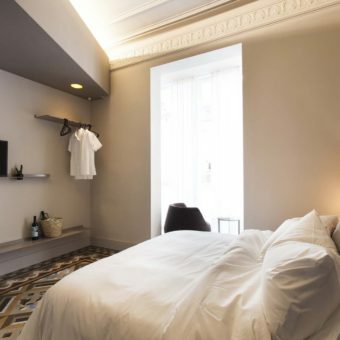 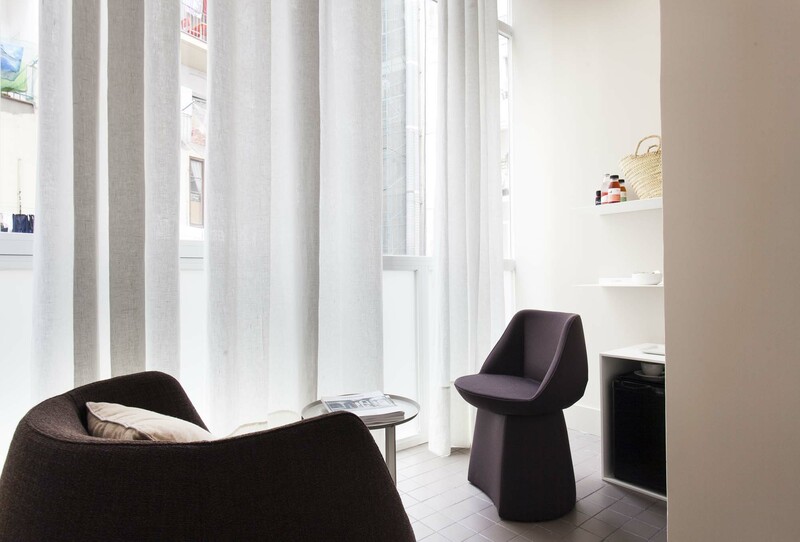 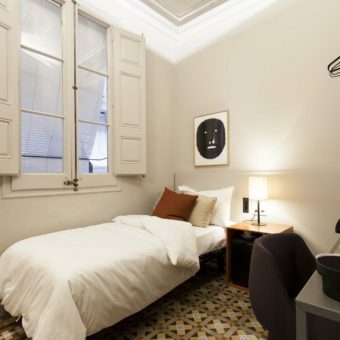 This minimalist 18sqm room has a sunroom that looks out onto the interior patio of the building – it’s very Barcelonese. 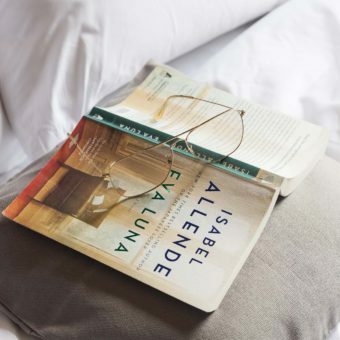 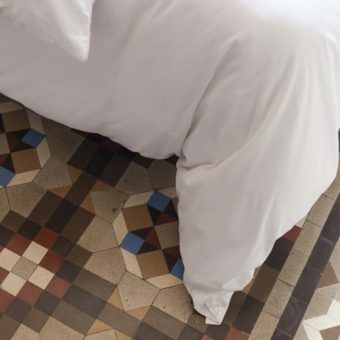 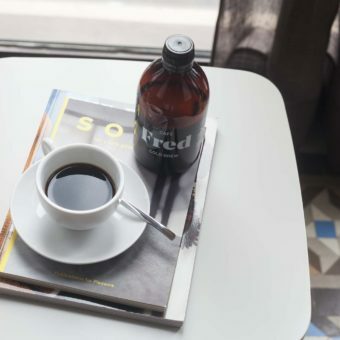 Design enthusiasts can also take pleasure in the recovered charm of the hydraulic-tile flooring which, is symbolic of the city and Modernist design. 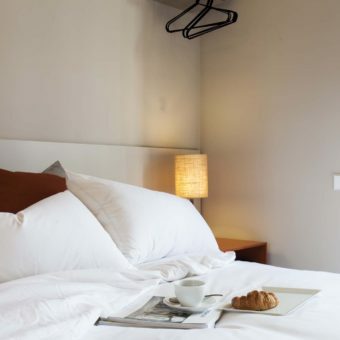 Our Swissflex bed makes sure that you have an undisturbed slumber. 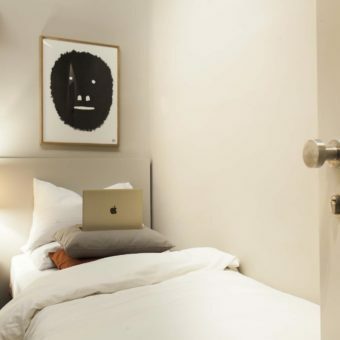 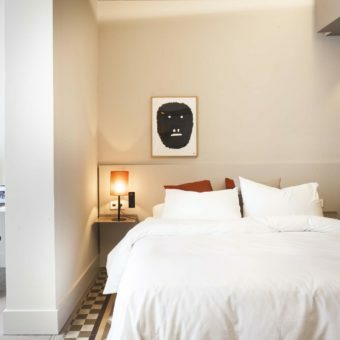 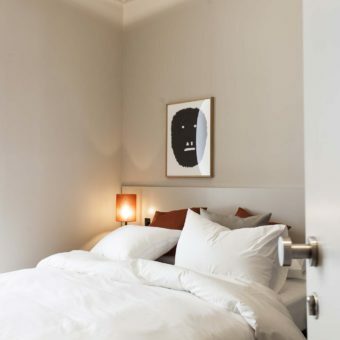 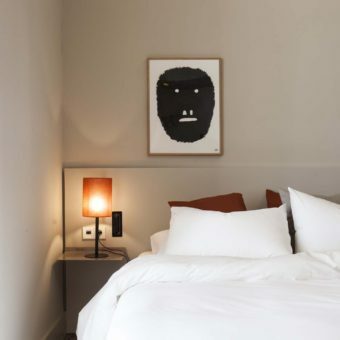 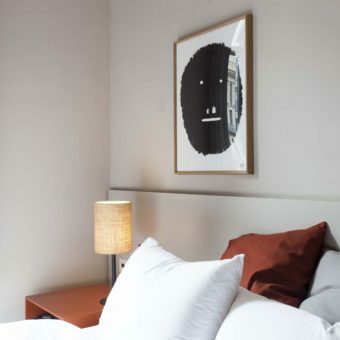 The room features a quirky monkey print by artist Pierre Charpin. 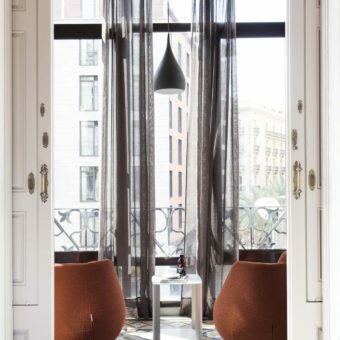 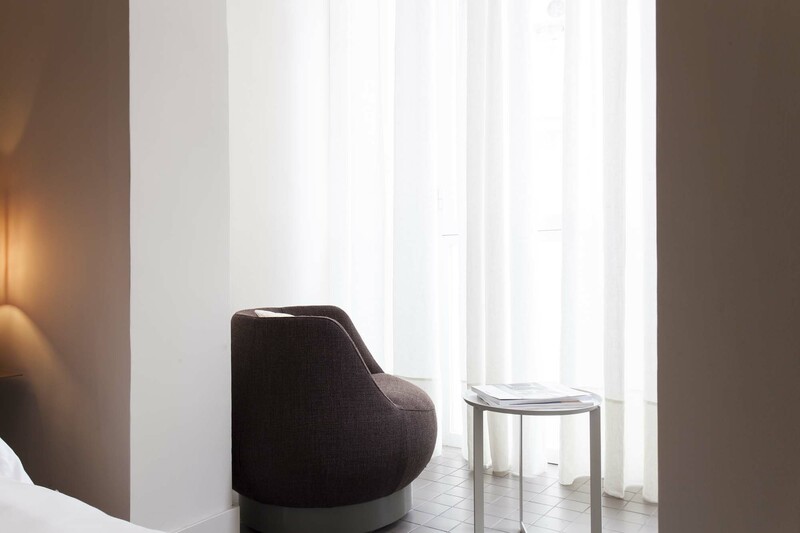 Guests can relax and enjoy luxurious comfort on the Magnum chairs by Spanish designer Sancal, perfectly perched by the window. 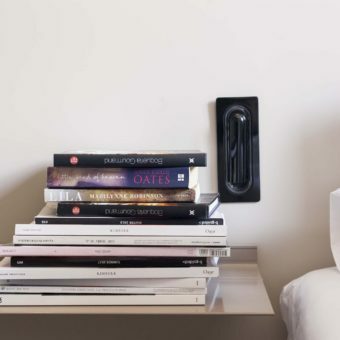 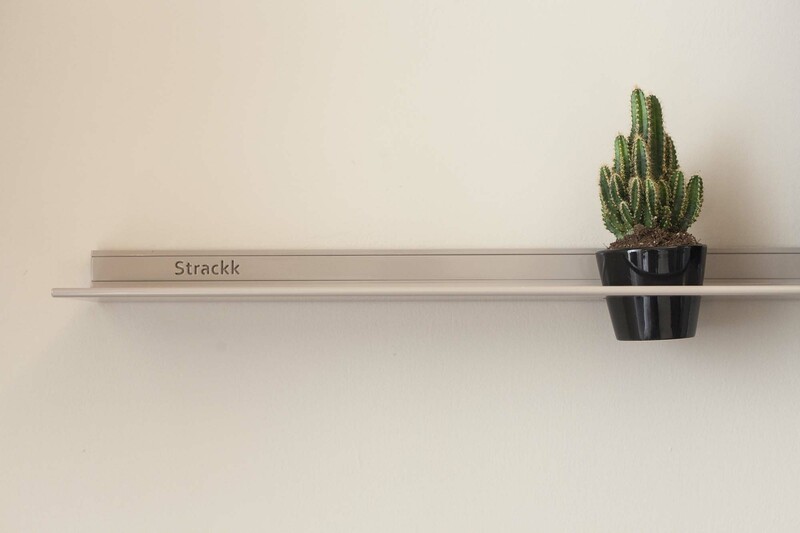 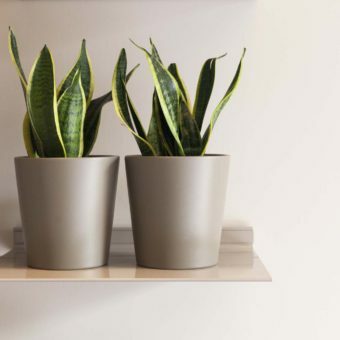 Multi-functional floating shelves by Strackk are positioned in several places, giving you the option to either hang your clothes or store your belongings. 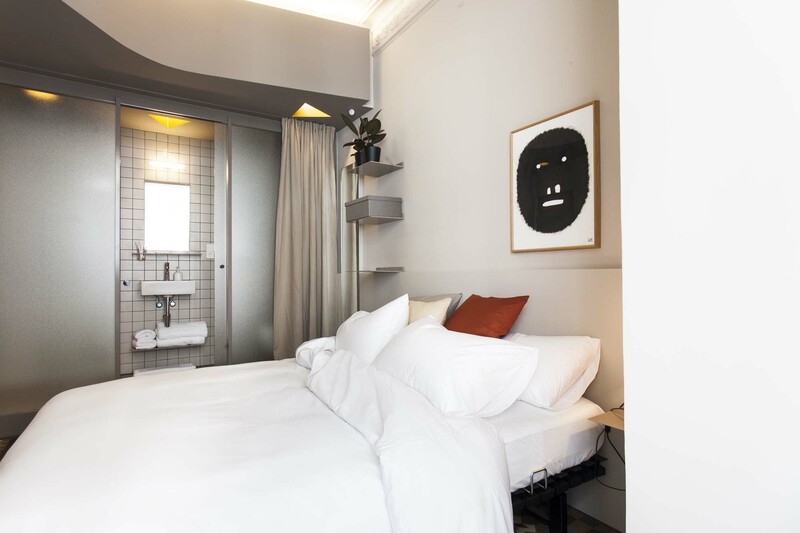 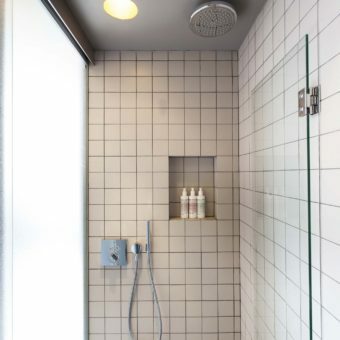 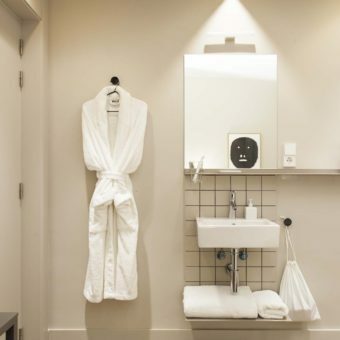 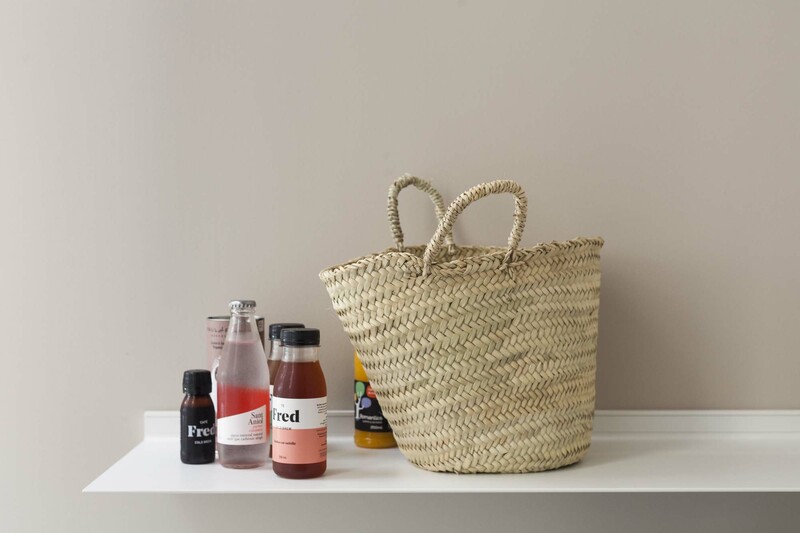 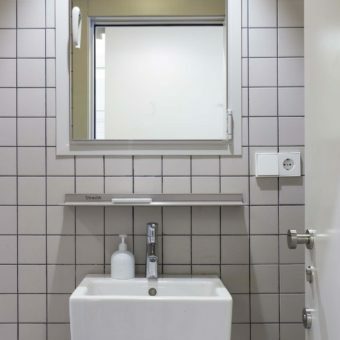 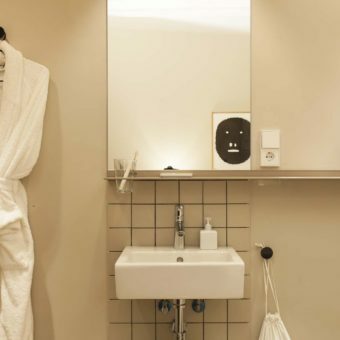 Natural and gentle Malin+Goetz products are stocked in the private bathroom, that is equipped with a rain shower and fluffy towels ensure you are fully refreshed. 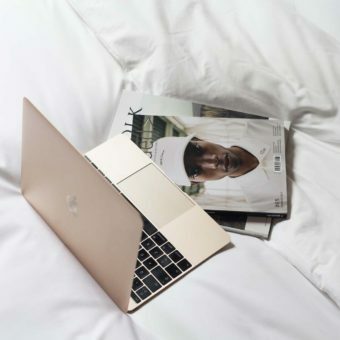 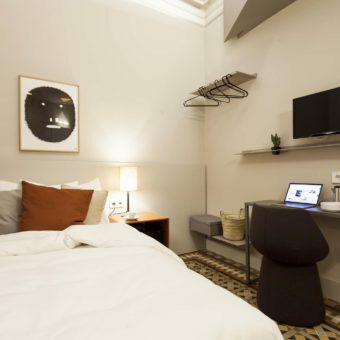 You will find an Apple TV with a pre-selection of music and movies to stay entertained during your stay. 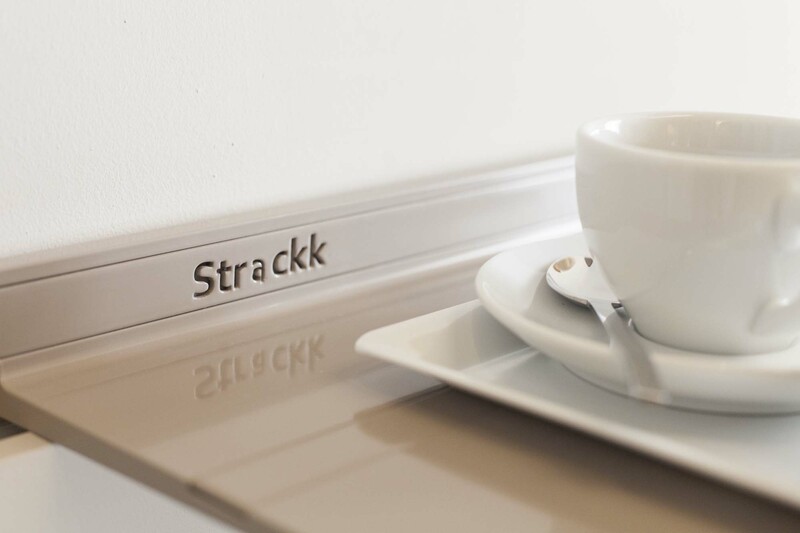 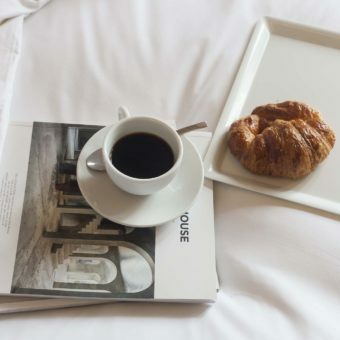 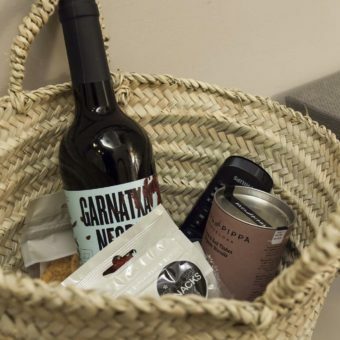 Tea and coffee are available, as there is a Nespresso machine with some capsules. 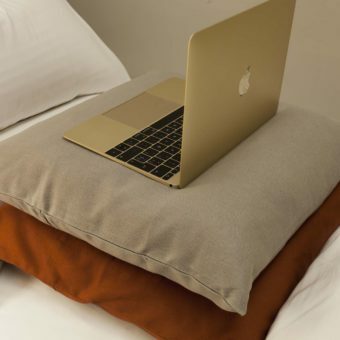 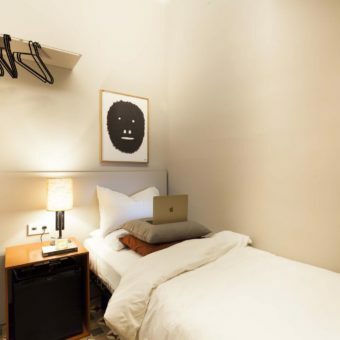 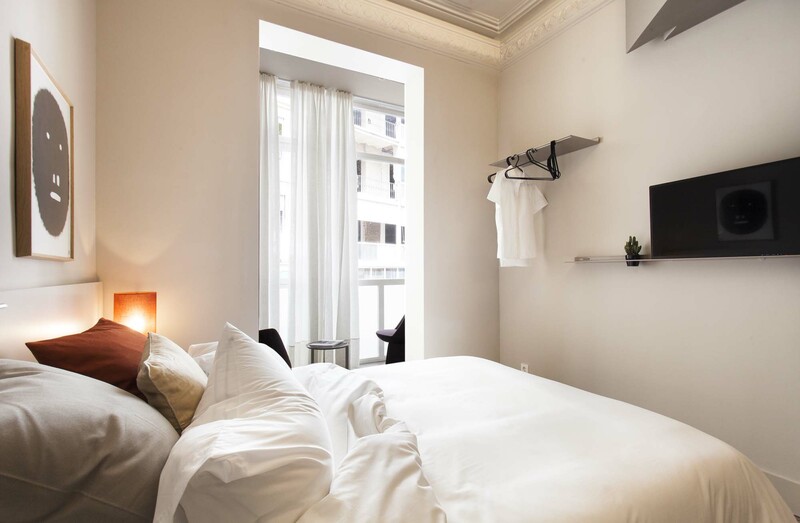 The room is located in a building very close to the University of Barcelona and Plaça Catalunya. 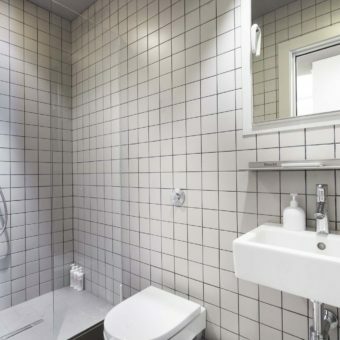 Our office is located in the same building. 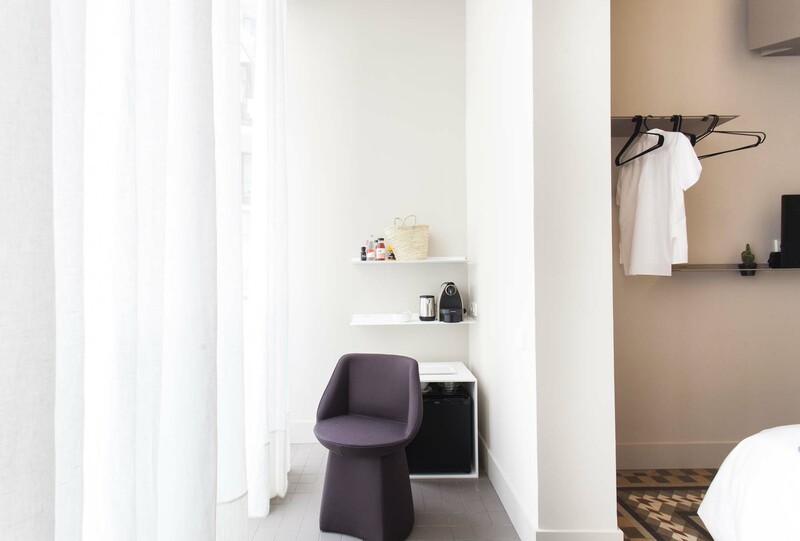 Please consult us regarding luggage storage possibilities. 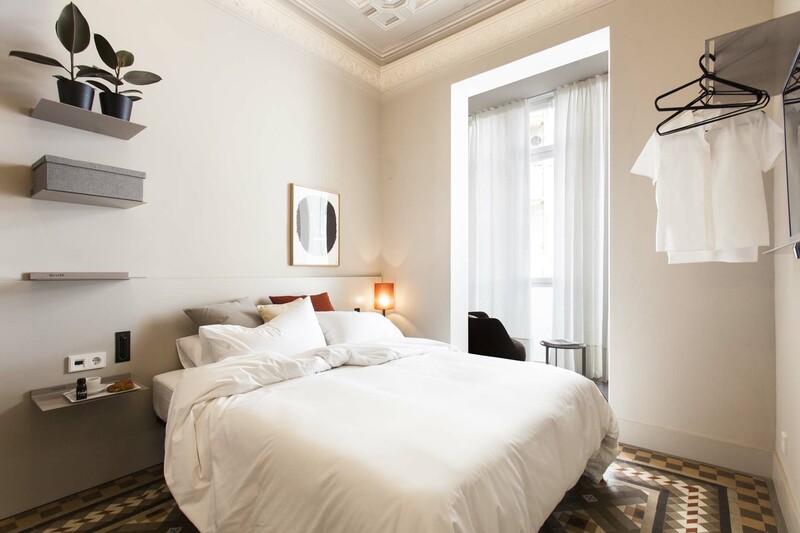 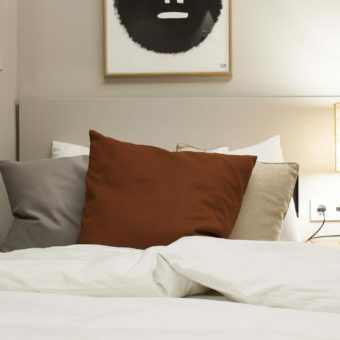 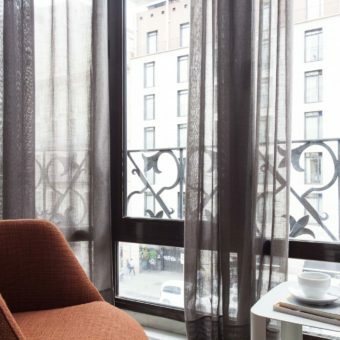 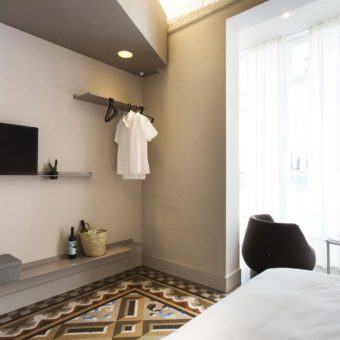 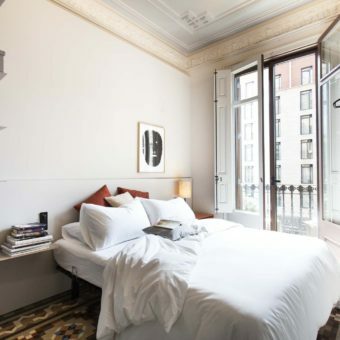 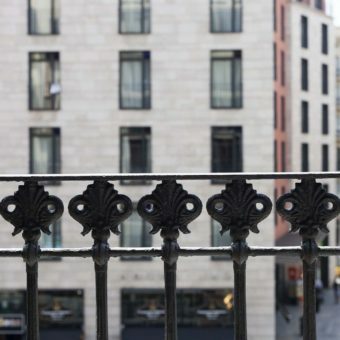 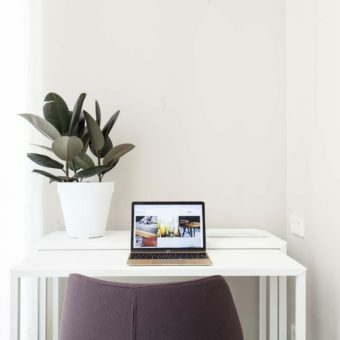 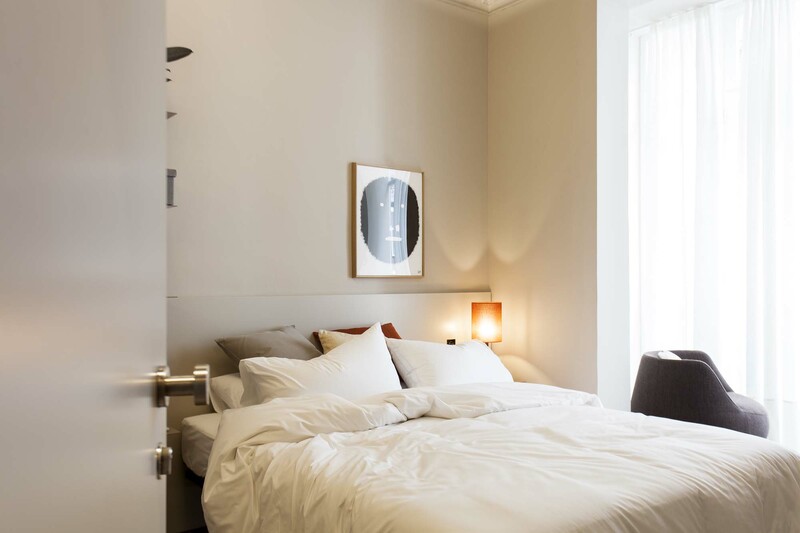 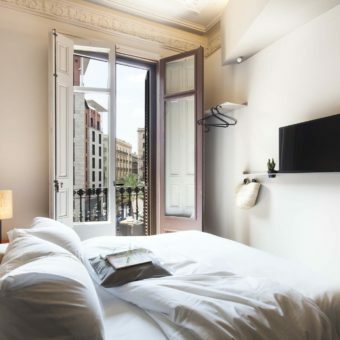 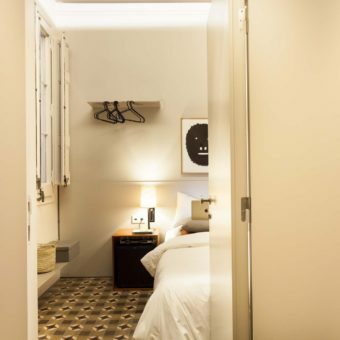 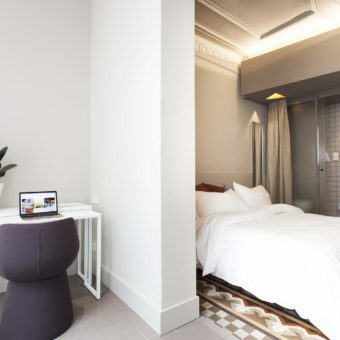 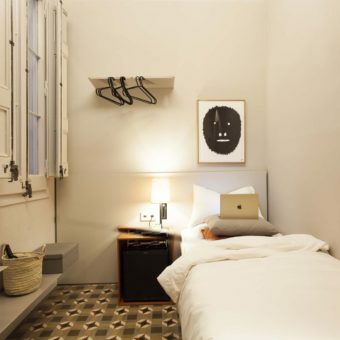 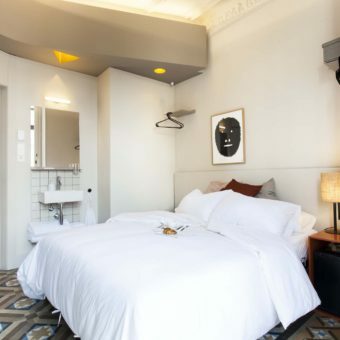 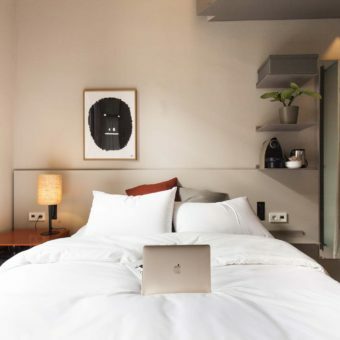 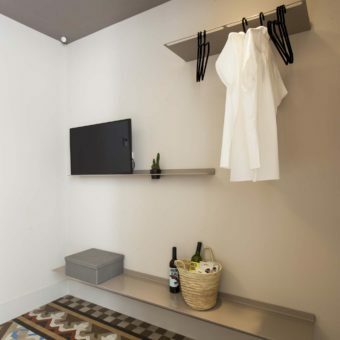 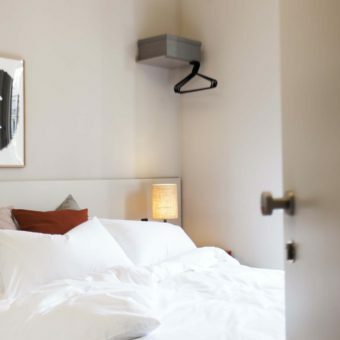 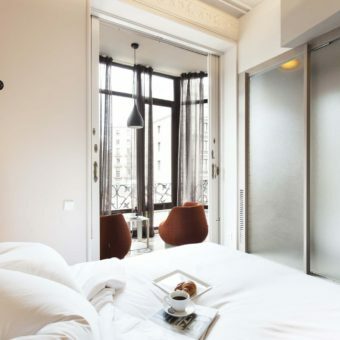 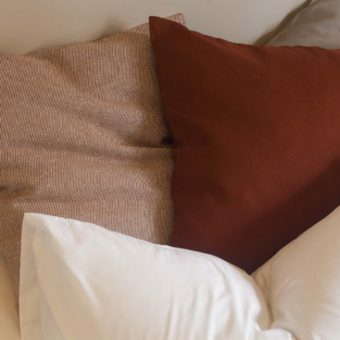 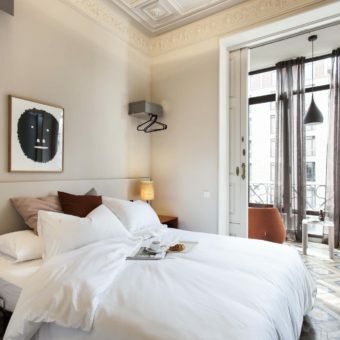 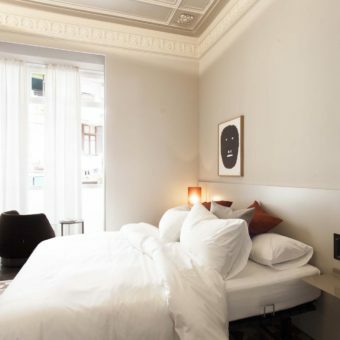 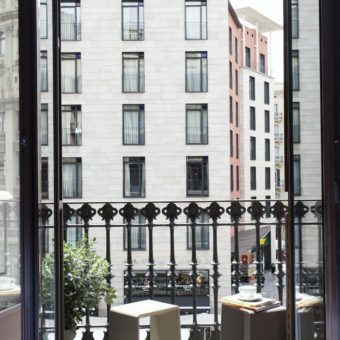 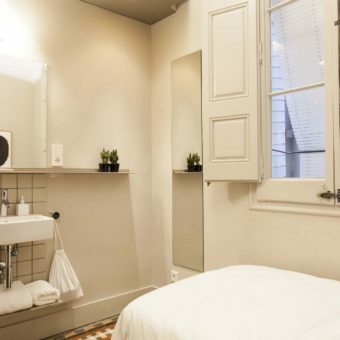 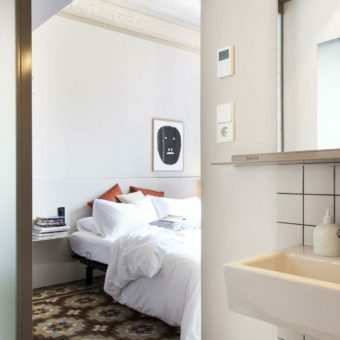 Room #4 is situated just by the popular and vibrant areas of Eixample, Gothic, Raval and Ramblas. 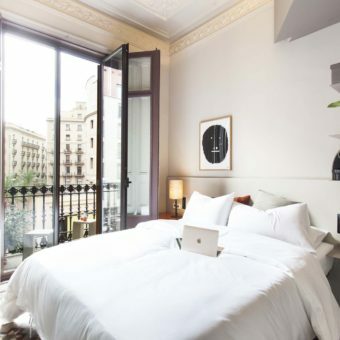 Turning right from your front door, you’ll find the lively Placa Universitat with the University of Barcelona, designed by the architect Elies Rogent in a style based on Catalan Romanesque. 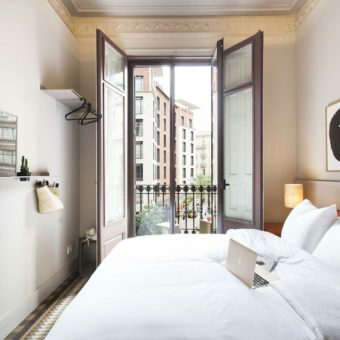 Behind the university, you’ll find Gayxample, the gay district set in the elegant Eixample area, where you can find nightclubs, shops, bars and restaurants lilt the streets, perfect for those seeking an eclectic crowd.